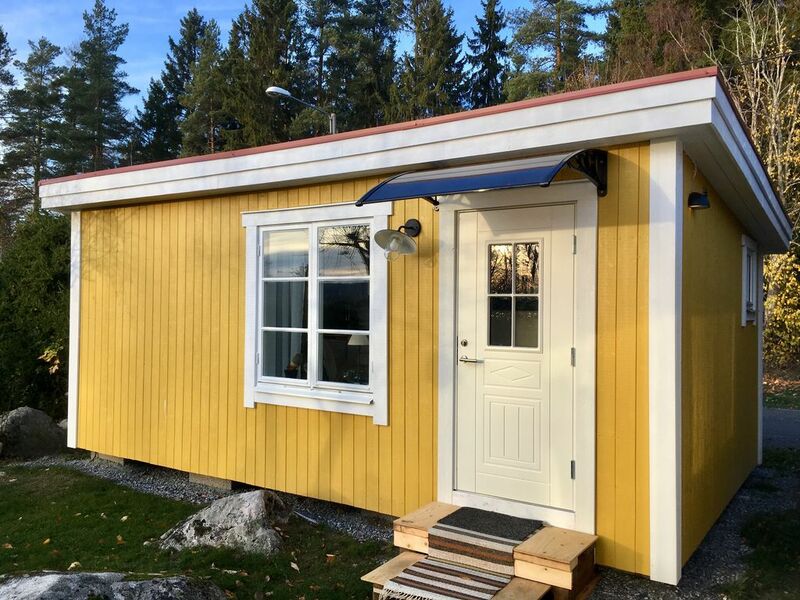 Small, thermally insulated cottage of 20m2 and all-equipped recently built. Located in dead end. Between the fields, the forests and the Ockelbo Lake, this cabin is very calm and very comfortable. We prepare it with bed sheets included, towels and kitchen basics (coffee, tee, honey, bread, fruit, salt, oil, etc. ..) to allow you a free arrival stress. Count with Wifi, TV, bed "queen size" of 160cm, small living room, corner kitchenette with plate induction, microwaves and small appliances, fridge, shower with toilet, independent entrance, parking. Everything can be done on foot, or imprint our bikes. the train station is 2.5km away. go swimming at the lake at 1,5km, go shopping at the supermarket or go to the restaurant bar at 2km. The Wij Trädgardar Botanical Gardens are 4 km away. the Wij Trädgardar Botanical Gardens are 4km away and have a restaurant open all year, activities, exhibitions and tours guided in season.